Welcome to our March classes and workshop Makery schedule!! It’s a great time for gathering, and sharing creative time. You can also find our February Workshops here. We are excited to be offering workshops fresh for winter into spring creativity!!! Treat yourself to some inspiration, or grab a friend! Have you heard about our #CarefullyCurated boxes? We now have a box where you can get goodies hand-picked from The Collective! Featuring local makers, handmade items, and gifts for giving! You can buy it month to month, or sign up for a subscription for a deep monthly discount! Click here to find out more about our #CarefullyCurated box! Learn the basics of stamp carving, and block printing, and leave with either a completed 18 x 18 pillow cover, or an apron. Choose project on check out. All materials included. Leave with one pillow cover, or two tea towels. Join us, and have fun creating your own customized, abstract painting! You'll be lead step by step and not only use paint brushes, but spackle/putty knives and cardboard to create your high-end 16 x 20 art piece on canvas! 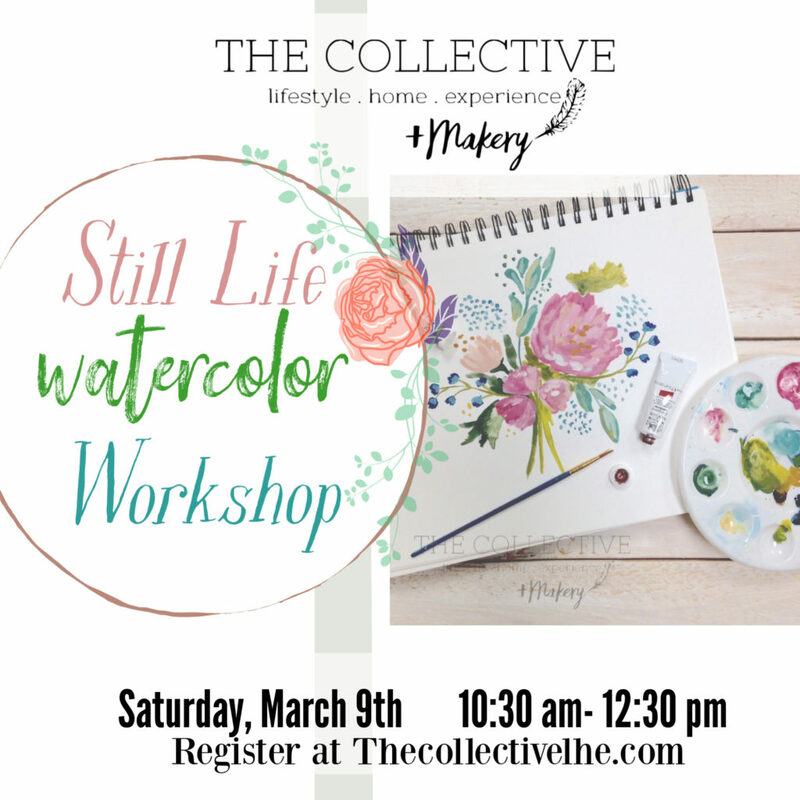 Learn how to paint a beautiful still life flower arrangement, using watercolors, watercolor pencils, ink and more! You'll leave with a completed painting you painted yourself! 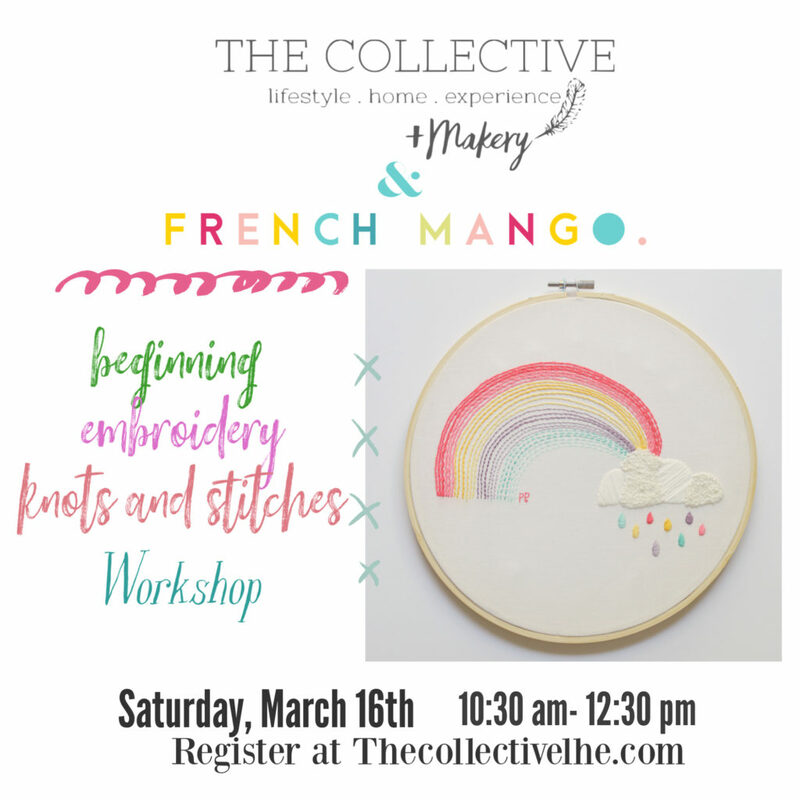 Join Peggy Poyser of French Mango and complete this super cute custom rainbow design, while learning beginning embroidery! Peggy will lead you through stitching, french knots, and more! All materials are included, and each participant will leave with a hoop, and completed rainbow design with their own stitches! Create a beautiful 18" faux floral spring wreath of your own design! 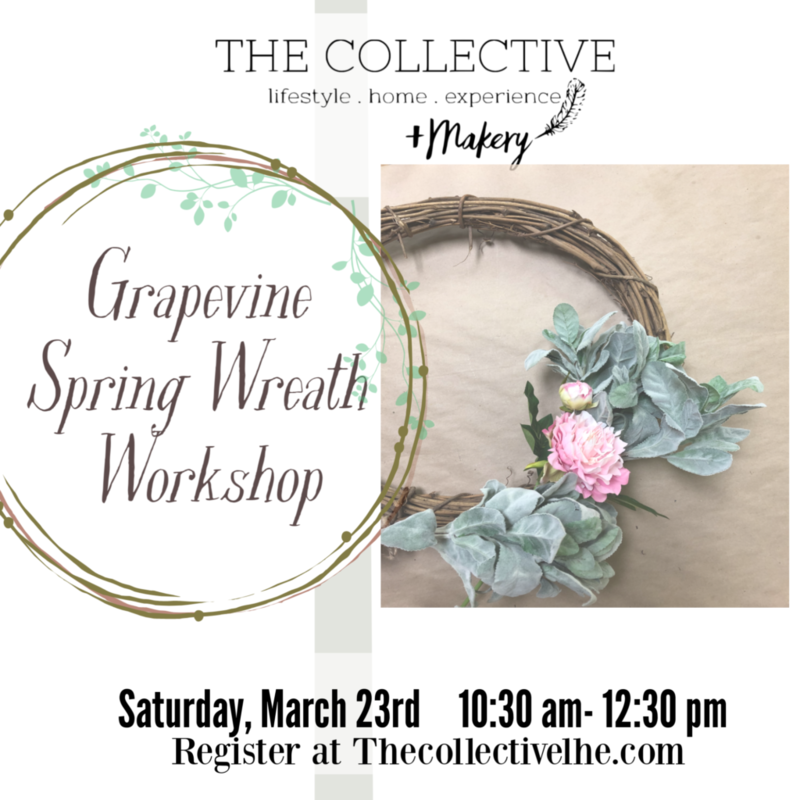 We'll lead you through step by step with the provided materials to make a wreath for your front door, or spring decor! Thursday, March 28th 7 p.m.-9 p.m.